“If that rebellion burns Mindanao and the other parts of the Philippines, and I’ll be forced to declare martial law again. This time, I will do it on my own to preserve my nation. I will not consult anybody. 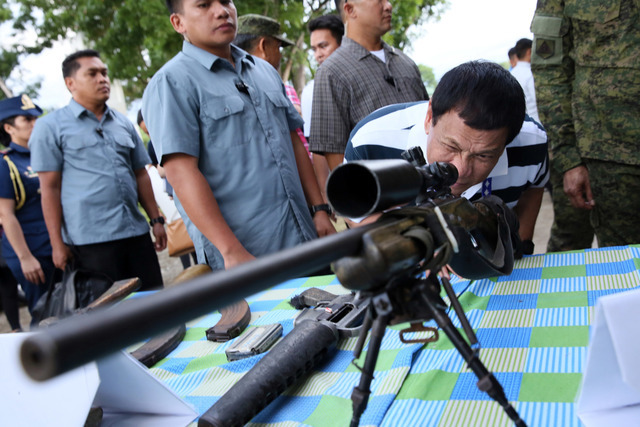 And there is no telling when it will end,” Duterte said. “Then it could be a copycat of Marcos,” he added. The 1987 Constitution states that martial law should not initially exceed 60 days, and that any extension should be approved by Congress by a joint vote. Duterte allies dominate both houses of Congress. Duterte declared martial law in Mindanao after clashes erupted between government troops and local terrorists in Marawi City. “The terrorists are committing rebellion. 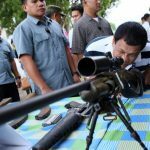 The rebels are committing rebellion,” Duterte said. The President earlier said he would “follow” the High Court’s decision on his martial declaration, hoping the justices would take into consideration the threat of the Islamic State or ISIS.